Elizabeth Laird, illus. Jenny Lucander, London: Tiny Owl, hb. 978 1 9103 2841 5, 2019, £12.99, 32pp. This is Tiny Owl’s fourth book in their series Tales of Rumi. This tale is based on one from Masnavi. Rumi was a thirteenth-century poet, philosopher and Sufi mystic. 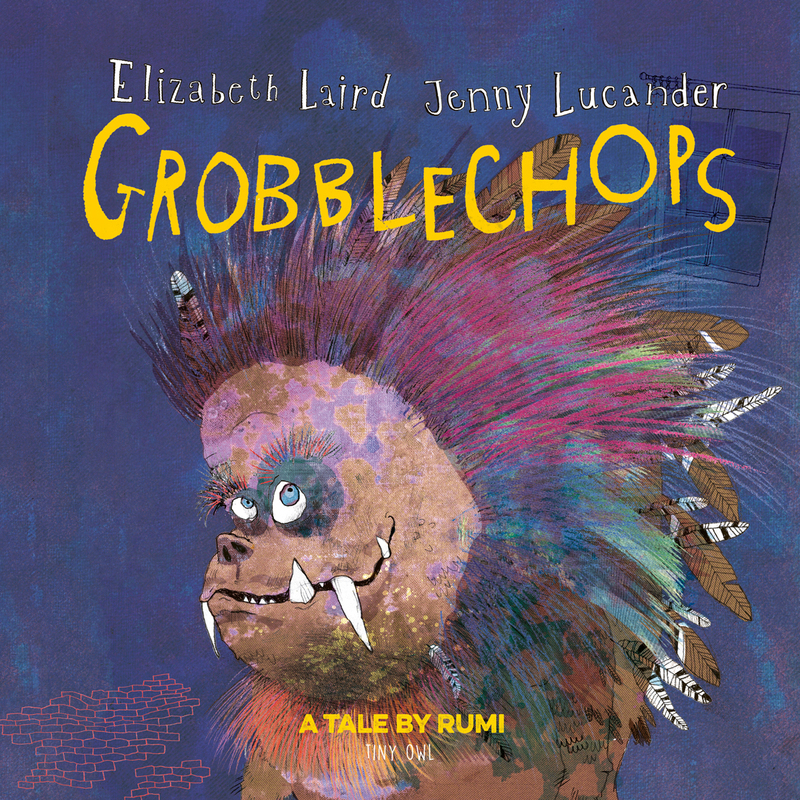 Elizabeth Laird is well-known for her folktale retellings but I have not come across illustrator Jenny Lucander before. The book is 25 × 25cm, square and large with large, clear dark print always set on pale backgrounds. The story starts with Amir not wanting to go to bed because he is working himself up into a state: ‘there might be a monster’. His imagination runs riot: ‘he might have huge teeth and growl like a lion. He might try to eat me.’ His father counters by telling Amir to show the monster his teeth and growl even louder. The dialogue continues as Amir says ‘What if he is not scared?’. Counter by his father saying he will come running in with a frying pan. Imagination of both father and son continue and mother is then drawn in too. However, father then changes tack and suggests that arguing is better than fighting so he and mum will argue with the grown-up monsters and Amir will eventually play with the little monster. The story ends with the two families having coffee together in friendship. A very imaginative book and we can all sympathise with both Amir and his father. A full-page spread can be seen at http://tinyowl.co.uk/how-grobblechops-helps-children-overcome-the-fear-of-the-unknown/.